The '30 Rock' actor was kicked off a flight at Los Angeles' LAX airport on Tuesday afternoon after allegedly refusing to turn off his cell phone when asked to do so, but his representative insists the star was behaving no differently to other passengers on the plane. His spokesperson Matthew Hiltzik tweeted: "@AMERICAN_AA: How come ok 4 other 1st class passengers 2 tweet while @alecbaldwin asked to leave while using his device? 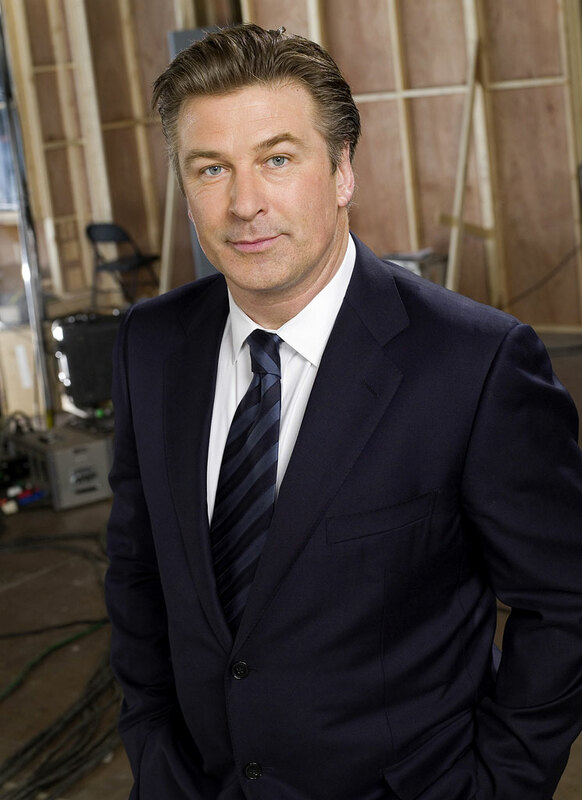 #hypocrisy … 1st clss passngers can tweet, but @alecbaldwin asked to leave? (sic)"
Alec has also been defended by boxer Oscar De La Hoya, who was also on the flight and said the incident has been "blown out of proportion". Oscar told 'Access Hollywood': “There wasn’t no slamming of doors or nothing like that. I mean, it was, I think, blown out of proportion. Alex – who claimed he was removed from the flight for playing Scrabble-like game 'Words With Friends' on his iPad device while the plane was still at the gate – has now deleted his twitter page, but signed off with a photo captioned "let Alec play". In their statement following the incident, American Airlines did not name Alec, 53, directly but said they had to deal with an "extremely rude" passenger. They said: “This passenger declined to turn off his cell phone when asked to do so at the appropriate time. The passenger ultimately stood up (with the seat belt light still on for departure) and took his phone into the plane’s lavatory. He slammed the lavatory door so hard, the cockpit crew heard it and became alarmed, even with the cockpit door closed and locked.